CHARLOTTESVILLE, Ind. 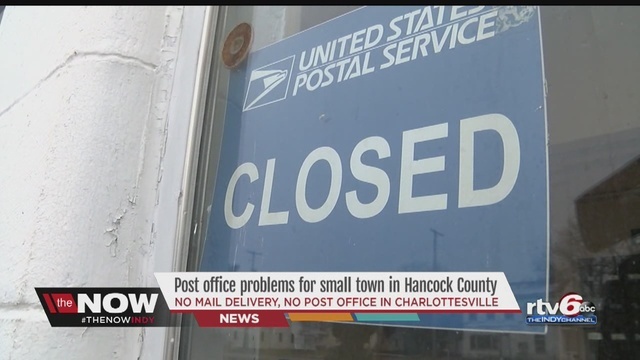 — Most of the people living in an unincorporated town have to pick up their mail because there is no mail delivery. Two weeks ago, a closed sign appeared on the Charlottesville Post Office. It was shut down due to unsafe conditions at the facility including rodents, and a lack of heating and air conditioning.